Take a tour of the Paris sewer system! It may sound disgusting, but in fact it's a fascinating way to experience the history - and even the literature - of Paris. Paris, which has been the heart of France, and of Europe, for nearly a thousand years, has one of the oldest and most well designed sewer systems in the western world, and part of that system has now been transformed into a museum and walking tour. 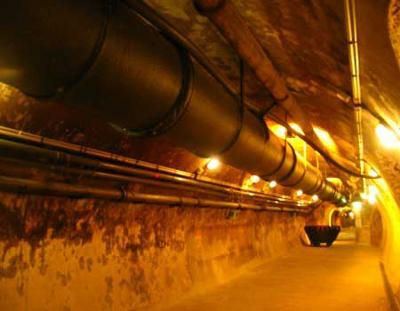 A knowledgeable tour guide will lead you through the dark stone labyrinth of the sewer system, between the winding rivers and beneath all of Paris's most fascinating landmarks. There are at least two tour companies that offer views of the sewers, and the tours are safe, interesting and remarkably hygienic. The sewer tour was a highlight of my trip to Paris.